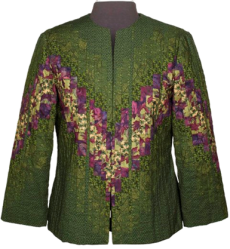 This jacket is designed using 7 different fabrics, in a classic straight bargello style. 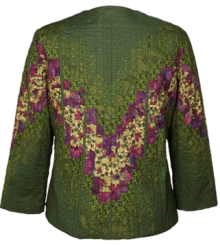 It is the simplest of the bargello jacket designs you will find in our Pattern Shop. It is attractive on all body types. 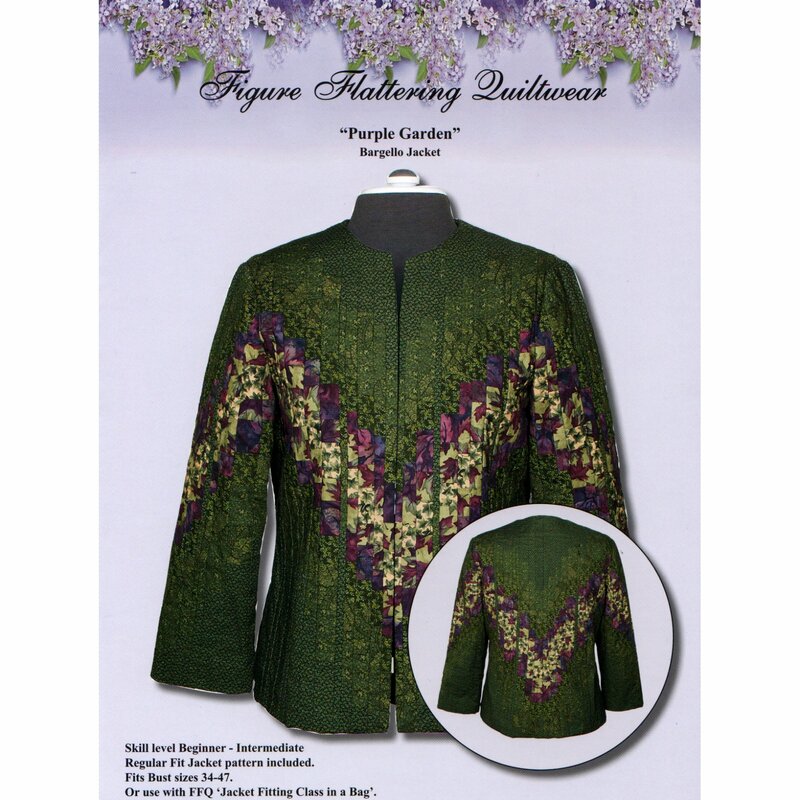 This design can be used with FFQ's custom jacket fitting class in a bag or with most any jacket pattern suitable for quiltwear.